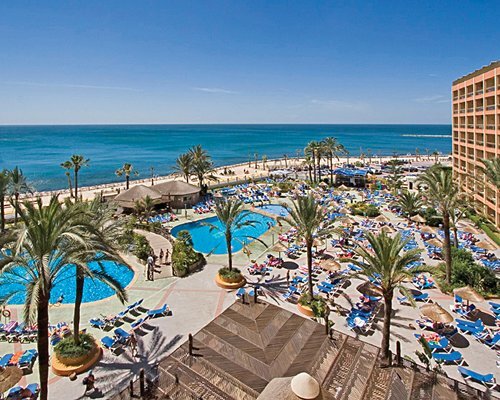 The Sunset Beach Club is situated in a magnificent location right on the water's edge, close to Benalmadena Marina. The resort features two outdoor pools, a gym, a hair and beauty salon for the ultimate pampering experience, and a teen and a children's club. There is also a choice of bars and restaurants serving local and international dishes. 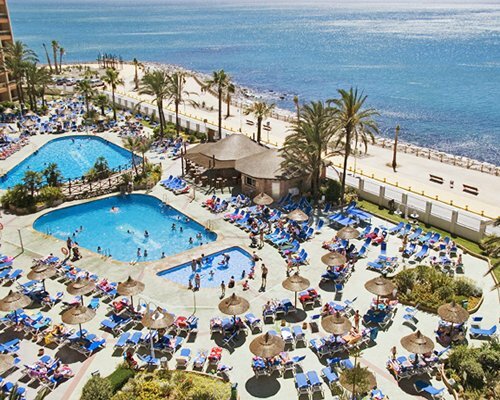 After a full day of sightseeing, sporting action or playing on the beach, unwind and chill-out at the pool-bar or relax in the sauna at the on-site leisure centre. 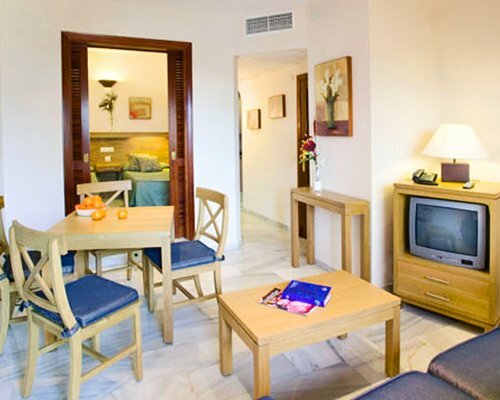 The charming apartments at Sunset Beach Club feature modern style furniture, and are well-equipped with air conditioning and satellite televisions. 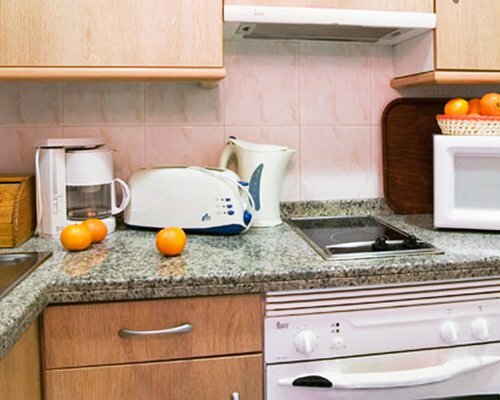 The units also have partial kitchens & attractively tiled bathrooms. 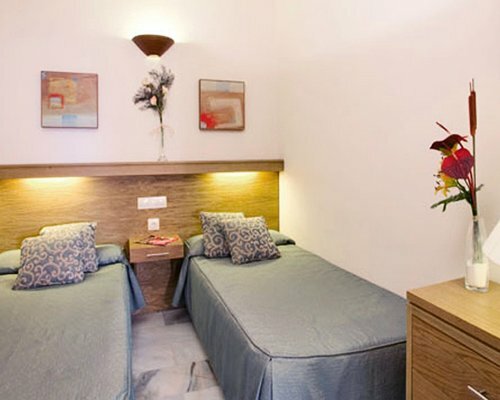 The resort offers a range of rooms from studios to 1- or 2-bedroom units, which may accommodate 2 to 6 guests. 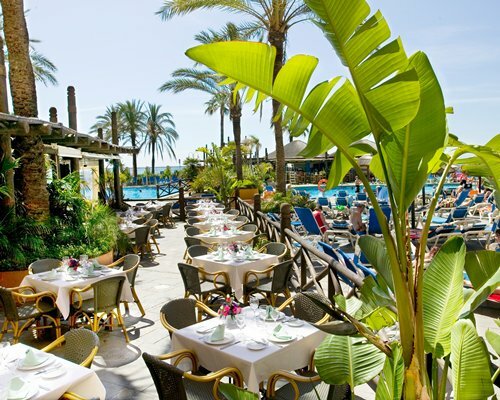 Situated near the Benalmádena Yacht Harbour and located right on the water's edge is the Sunset Beach Club. The villages of Mijas and Fuengirola are a short drive away, as are many tennis and golf clubs. Located in Southern Spain on the Coast of the Sun, the are enjoys a subtropical climate that gives it the warmest winters in Europe. 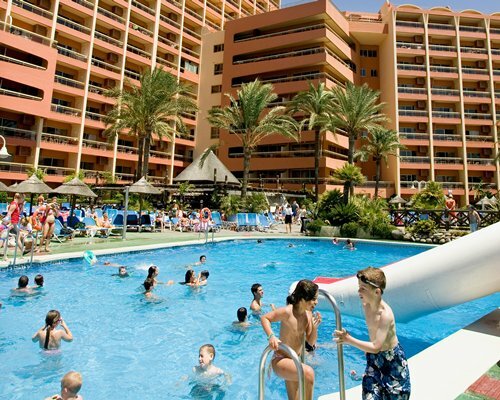 BY AIR:Málaga airport Km 14.BY ROAD:Resort situated on the coast approx. 20 minutes drive west of the airport.After the first roundabout on exiting the airport bear right to connect to the N340,do not go over the brigde direction Málaga. Staying on the motorway follow the signs to Benalmádena Costa passing the BMW showroom on the right,drive under the bridge,do not bear right and take the AP-7 by-pass road Algeciras. By-pass Torremolinos, and go through Benalmádena Costa. After passing several roundabouts, go past Hotel Las Arenas and Aloha Playa Hotel. Just after the Burger King and the Shell petrol station turn left around the roundabout, which brings you to the front desk.